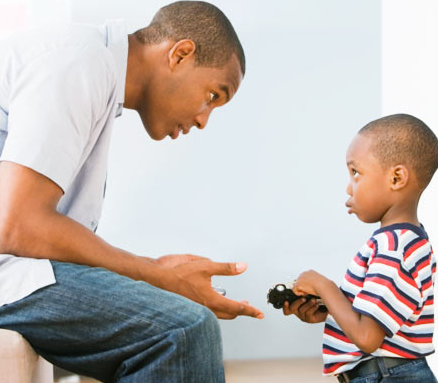 You’ve probably read over a hundred books on how to discipline a child. Your mom has given you tips tricks that only seem to work for her. Well don’t despair. This might be the solution you have been looking for. Sometimes disciplining your bundle of joy leaves a weird feeling of guilt. You are not alone! This is normal to most mothers. That feeling is mostly experienced when you have no clue how to handle those little tantrums. Ops, did I call them little?Pardon me! In this post, we shall discuss how to handle babies at their respective ages. Most of these tips are applicable even in public. Therefore, you don’t have an excuse. In addition to being a father, the author of this article is a doctor of psychology and behavioral change. He spends most of his time counseling juveniles and parents as well as handling marital problems. Don’t under estimate your toddler. They know exactly when to push boundaries. As a parent, you need to step in and teach them right from wrong. If you are waiting to get into “terrible two” stage, you’re grooming yourself for a downfall. The wise men in the bible said, “Teach your children in the right ways and when he grows old he will never depart from them.” As soon as they start getting mischievous, introduce discipline. So how do we discipline kids below the age of 2years? Up to the age of 9 months, do not engage in disciplining your kid. At this age they spend most of their time learning new things and developing their brain. Any form of discipline would greatly set their developmental milestones backwards. Instead, help them learn using simple practices such as showing them a mirror and smiling back when they smile at you.